National Storytelling Week is just around the corner! This annual celebration for storytellers begins on Saturday 27 January, and we’re getting in the spirit by sharing some of our favourite books to read aloud. If you’re between 5 and 13 years old and you like writing short stories, then this is the competition for you! 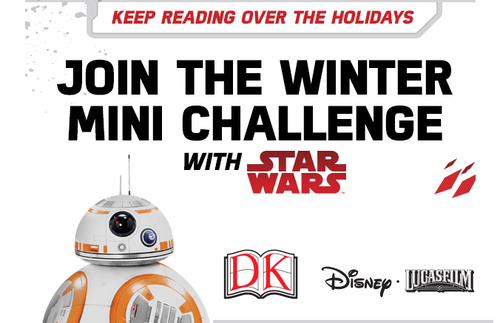 Win Star Wars prizes with the Winter Mini Challenge! We’re halfway through the Winter Mini Challenge – how are you getting on so far? Remember to add the books you’ve been reading to your website profile to unlock your rewards. Why not start with one of these for the Winter Mini Challenge? This is the Winter Mini Challenge you're looking for! Join the Winter Mini Challenge crew for a new reading adventure! We’ve teamed up with DK and Star Wars to bring you some extra special rewards.